The strength of Shred Nations comes from the outstanding customer service of our network partners. We work with shredders that not only provide the security that is required when dealing with sensitive information, but also leave their customers feeling like they have received superior service. A valued partner with S hred Nations since 2008, NEXCUT Shredding is a great example of such a company. We were able to learn more about the company and see their sincere dedication to the document destruction industry. Find out what NEXCUT is doing to go above and beyond normal shredding expectations, and to continue to grow as a company. Why Did They Get into the Shredding Industry? 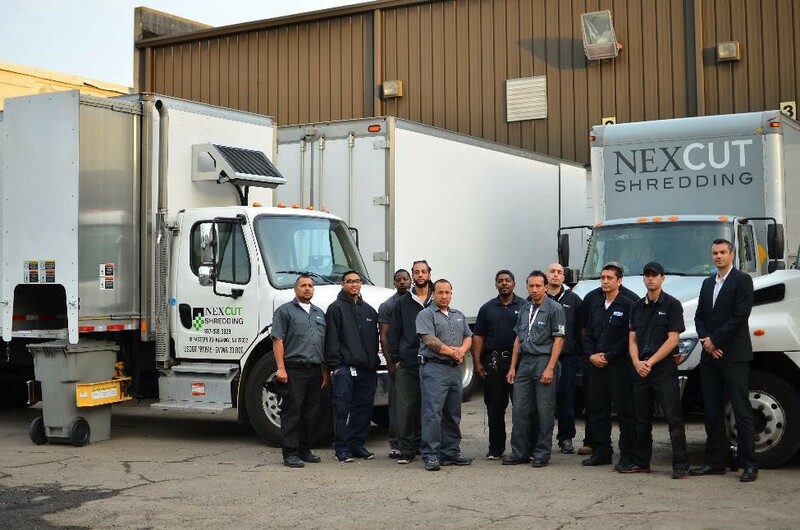 NEXCUT’s founding CEO has worked in the shredding and recycling industry for over 15 years. His family runs one of the largest recycling companies in California, where he began working in 2001 to develop their shredding arm along with his brother (CFO) and some close family friends. 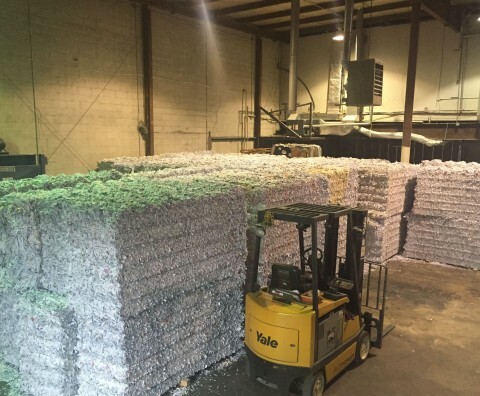 With HIPAA legislation and other privacy-related policies coming online, it was a natural niche to flesh out within a larger recycling firm, and this was done with remarkable success. As with any ambitious entrepreneur, the success of this endeavor motivated the brain trust to branch out on their own with the founding of CrossCut Shredding in 2005. CrossCut demonstrated great success in California as well, which prompted the team to shoot for even greater heights. 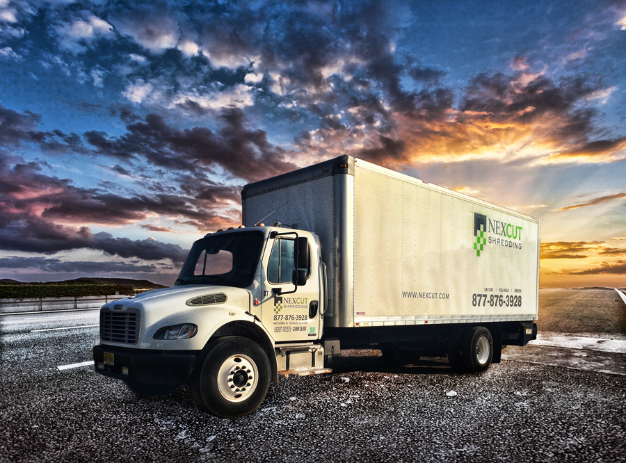 Thus, NEXCUT came into being in 2008 with the design to become a larger-scale shredding company—aiming for coast to coast coverage and a strong regional presence in the Northeast and Mid-Atlantic. NEXCUT has been i n business since 2008. The existing core from CrossCut was bolstered with the addition of an East Coast operating team consisting of more family and close friends (and honorary shred dog Crosby). The team started up shop out of an apartment in Union City, NJ doing sales on card tables with a shred truck and delivery truck parked at a storage yard. Close to a decade later, they have over 20 vehicles, almost 50 employees, and physical locations in the NY/NJ Metro area, Philadelphia, Baltimore/DC, Oakland, and Southern California. What is Their Business Philosophy? At NEXCUT, success is based off of three core values: maintaining security, upholding a high level of customer satisfaction, and assuming environmentally-conscious practices. NEXCUT’s security standards remain among the best in the industry. From the hiring process all the way through the destruction, the company is sure to handle any materials with the utmost level of protection. There are many factors that play into NEXCUT’s impressive privacy measures. Their hiring process alone includes drug screenings, a confidentiality agreement, and thorough background checks based off of fingerprints. They also have company security policies, are required to comply with all state and federal information privacy regulations, and are NAID AAA Certified. Aside from implementing multiple necessary security standards, NEXCUT also takes pride in the role they play towards environmental sustainability. This is no surprise as three of the four founding members have an educational background in Environmental Studies, and the real passion and starting point of the business model stems from the recycling angle. While shredding is vitally important to protecting personal information and preventing identity theft—which is the central impetus of the industry—NEXCUT also consists of diverting as much of the materials they receive into a 100%-recycled waste stream. Since the business began, the company has recycled all plastic and E-waste, as well as over 40,000 tons of paper! Last but certainly not least, NEXCUT also focuses on providing a level of service adequately suitable to the needs of their shredding clients. Based on attitude and commitment, they only hire employees that will maintain a friendly and helpful persona towards their customers. Another way in which the company maintains a reputable level of customer satisfaction is through the range of services that they offer. NEXCUT is able to meet the needs of each and every prospect that comes their way, no matter what type of shredding service may be required. How Has the Business Changed Over the Years? The business started with a primary focus on mobile paper shredding, but expanded early on to cover digital media, hard drives, and product destruction. They experimented a lot with particle size reduction technology as well, which led to some very interesting opportunities. More recently, they have installed a plant-based operation to handle offsite shredding—thus increasing capacity and providing lower cost options for clients. NEXCUT is now aggressively moving towards records storage and additional recycling streams, such as e-waste and x-rays, which dovetails with the needs of the customers. They are constantly looking for new opportunities to provide added value. What is Their Shredding Specialty? The company has handled a multitude of difficult projects. From destroying 150 tons of mislabeled perfume bottles, shredding thousands of pounds of scrap leather used to make footballs, and even taking soggy records from basements flooded by Hurricane Sandy directly to an incinerator—there is not much they can’t accommodate. At the end of the day, however, their staple is still paper, while continuing to grow in the area of digital media and e-waste. The combination of experience, background, and ambition of NEXCUT’s management team is the seed from which the company grows. They work hard to instill a positive culture in which employees enjoy coming to work, customers are always happy to see them, and of course they are operating in accordance with their three core values. The business is viewed as an opportunity to reflect the personal values of its founders in a way that supports their families and those of their employees, while at the same time providing an essential service that is both good for the planet and that customers need. NEXCUT also operates on a pretty unique scale, which is by design. They found that there were a few very large players in the industry (which have gotten fewer and larger as of late) and a plethora of mom-and-pop small scale truck outfits. As a business, NEXCUT aims to find that middle ground where they can provide the personal service of a family run business with the large scale of resources that major players would have in any given market. This allows them to successfully service any size project, from individuals to major hospital systems, while maintaining that personalized level of service that every customer deserves. NEXCUT was included in INC. 5000’s list of fastest growing companies for 2014 and 2015, is NAID AAA certified, has a GSA contract, and is certified by the SBA as a HUBZone small business. This means that they operate and employ individuals from historically underutilized business zones. In essence, they create jobs in communities that have historically been economically depressed. The company also provides over 100 community shredding events every year that allow residences in surrounding communities to shred their confidential materials at no charge. It is a major goal of the company to have a positive impact on the communities and social fabric that they are a part of, which surely brings more meaning to the core of the business. Does NEXCUT Shredding Sound Like the Company for You? Contact Us for Your Free Quote Today! Here at Shred Nations, we want you to feel comfortable with your shredding contractor. If you are in need of data destruction services, we can connect you with the contractor that best fits the exact needs of your home or business office. To get started, just fill out the form to the right or give us a call at (800) 747-3365. Our experts are prepared to clear up any questions or concerns you may have, and within minutes, you will receive quotes from secure and reliable shredding contractors in your area.